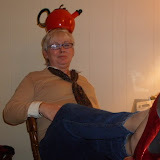 Perfection Under A Red Umbrella: 100 Reasons To Call Me A Tea Partier! ﻿ 1. 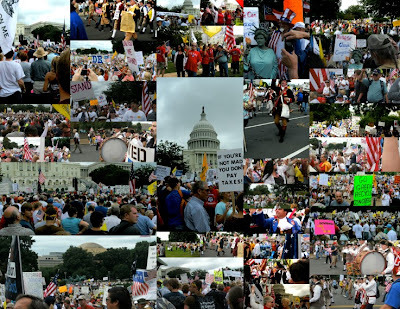 I am a Tea Partier, because I believe our Founding Documents were inspired by God, and that those rights are God given. 2. I am a Tea Partier because I uphold and defend The Un﻿﻿﻿ited States Constitution. 4. I am a Tea Partier because I believe our elected officials should be held accountable for their policies, votes. 5. I am a Tea Partier because I like to sing the National Anthem, and I stand when it is played. 6. I am a Tea Partier because I like to say the Pledge of Allegiance, and I stand and place my hand on my heart when I pledge my allegiance. 7. I am a Tea Partier because I believe in the limited government outlined by the US Constitution. 8. I am a Tea Partier because I accept my First Amendment Responsibility and Obligation. 9. I am a Tea Partier because I believe an engaged and informed voter protects against Government Abuses. 10. I am a Tea Partier because my fellow Patriots help me to stay informed. 11. I am a Tea Partier because I demand our Government live within it's means. 12. I am a Tea Partier because I believe this Republic is Over Regulated. 13. I am a Tea Partier because I believe this Republic needs Entitlement Reform. 14. I am a Tea Partier because I insist that Obama Care be repealed or overturned by the United States Supreme Court. 15. I am a Tea Partier because I insist that the Dodd Frank Bill be repealed or overturned by the United States Supreme Court. 16. I am a Tea Partier because I believe that ALL US coded laws should be enforced at every Government level, Local, County, State and Federal﻿﻿. 18. I am a Tea Partier because I support our Troops. 19. I am a Tea Partier because I believe in Free Speech. 20. I am a Tea Partier because the Main Stream Media is biased. 21. I am a Tea Partier because I think an armed citizen is a good thing. 21. I am a Tea Partier because I believe in Freedom of Religion. 22. I am a Tea Partier because I believe that our elected officials should read the bills they pass. 23. I am a Tea Partier because I do not believe in Deficit Spending. 24. I am a Tea Partier because I believe we should drill here drill now immediately. 25. I am a Tea Partier because I think that the TSA should be eliminated. 26. I am a Tea Partier because I believe in a robust National Defense. 27. I am a Tea Partier because I believe that Keynesian Economics is a failed Economic Model. 28. I am a Tea Partier because I believe like Ronald Reagan in the shining city on the hill. 29. I am a Tea Partier because I refuse to have our legacy be a crushing indebtedness for future generations to inherit as a result of fiscally irresponsible leadership by Democrats. 30. I am a Tea Partier because I have a solemn obligation to those who have given their all that I do with a ballot what our nation has asked those in our Armed Forces to do with a bullet. 31. I am a Tea Partier because I believe we should end the IRS and have a Flat Tax. 32. I am a Tear Partier because I support the Connie Mack One Cent Solution. 33. I am a Tea Partier because I believe the Senate should produce a Budget. 34. I am a Tea Partier because I believe in a Balanced Budget Amendment. 35. I am a Tea Partier because I believe Affirmative Action is bad for America. 36. I am a Tea Partier because I believe that an intact family is the building block of a healthy society. 37. I am a Tea Partier because I believe that elected officials who violate their oath of office should lose their retirement benefits. 38. I am a Tea Partier because I believe that elected officials who break their oath of office should be prosecuted. 39. I am a Tea Partier because I believe that every candidate should have full disclosure of birth records, college records, service records and tax records and that those records be a matter of public record. 40. I am a Tea Partier because I am against the Federal Government suing states that have modeled Immigration Bills after coded US laws on the books. 41. I am a Tea Partier because I celebrate Easter, Memorial Day, the 4th of July, Veterans Day, Thanksgiving and Christmas. 42. I am a Tea Partier because I believe that signing onto UN policy driven by despots, thugs and Communists is bad foreign policy. 43. I am a Tea Partier because I believe that TARP was a bad unexplained crisis, and that all TARP funds should be paid back. 44. I am a Tea Partier because I did not support the 2nd Stimulus. 45. I am a Tea Partier because I did not support the GM & Chrysler Bailouts. 46. I am a Tea Partier and I do not believe Geithner, a Tax cheat should be Secretary of the Treasury. 47. I am a Tea Partier because I do not support the appointment of CZARS who write policy outside of Legislative Oversight. 48. I am a Tea Partier because I believe Eric Holder should resign. 49. I am a Tea Partier because I believe that Operation Gun Runner broke US laws. 50. I am a Tea Partier because I believe that Carole Ann Browner should resign. 51. I am a Tea Partier because I believe that Lisa Jackson should resign. 52. I am a Tea Partier because I believe Ken Salazar should resign. 53. I am a Tea Partier because I believe that Stephen Chu should resign. 54. I am a Tea Partier because I believe that Sonja Sotomayor should never have won appointment to the United States Supreme Court. 55. I am a Tea Partier because I believe Elena Kagan should not have been appointed to the Supreme Court. 56. I am a Tea Partier because I believe that the President of the United States should only bow when he is in prayer. 57. I am a Tea Partier because I believe it is dangerous fiscal policy for our enemies to hold our debt. 58. I am a Tea Partier because I believe that Nidal Hassan should have been condemned by a Military Court Marshall and sentenced to Death by a Firing Squad. 59. I am a Tea Partier because I believe that is 11 years past time to bring the perpetrators of the attack on the USS Cole to Justice and they be tried by a Military Tribunal. 60. I am a Tea Partier and I support the US war on Terrorism. 61. I am a Tea Partier because I believe that no enemy combatant should be given US Miranda Rights. 62. I am a Tea Partier because I believe that the Underwear bomber should be tried by a Military Tribunal. 63. I am a Tea Partier because I support Israel. 64. I am a Tea Partier because I support Enhanced Interrogation Techniques for Enemy Combatants. 65. I am a Tea Partier and I believe we should not be bombing Libya. 66. I am a Tea Partier because I think that Eric Holder should have prosecuted the New Black Panther Party for Voter Intimidation in Philadelphia in the 2008 Presidential Election. 67. I am a Tea Partier because I believe Janet Napalitano should seal the border. 68. I am a Tea Partier because I believe the US Federal Government should be subject to Sunshine Laws with the exception of our national security. 69. I am a Tea Partier because I support Darrel Issa's Committee Investigation of Operation GunRunner. 70. I am a Tea Party because I believe that God should be part of a funeral service at National Cemeteries if the family so wishes. 71. I am a Tea Partier because I am offended by Obama's Ramadan Addresses. 72. I am a Tea Partier because I do not support registered Socialist and Registered Communist holding public office. 73. I am a Tea Partier because I do not support the Federal Government awarding Grants to Universities & Colleges, whether they are Private or State Or County Institutions. 74. I am a Tea Partier because I am opposed to Federal, State, County or Municipal Unions. 75. I am a Tea Partier because I believe that Republicans should stand on Principle. 76. I am a Tea Partier because I believe we should not be trading jobs, and manufacturing to buy allies. 77. I am a Tea Partier because I believe in Free Markets. 78. I am a Tea Partier because I believe that what my local municipality can do the county should not, what my county can do the state should not, and what my state can do the Federal Government should not. 79. I am a Tea Partier because I believe in Right to Work Laws. 80. I am a Tea Partier because I believe that DADT is bad policy for the Military. 81. I am a Tea Partier because I believe that the DOMA laws should be enforced. 82. I am a Tea Partier because I do not believe that our taxes should be used for PBS. 83. I am a Tea Partier because I believe the Federal Government is too large. 84. I am a Tea Partier because I believe the United States Government should not be restoring mosques around the world. 85. I am a Tea Partier because I believe in the Right To Life and I am against abortion. 86. I am a Tea Partier because I believe every voter should show a picture ID and their voter registration card. 87. I am a Tea Partier because I believe all illegal aliens should be sent back to their country of origin. 88. I am a Tea Partier because I do not engage in politically correct discourse. 89. I am a Tea Partier because I believe in profiling. 90. I am a Tea Partier because I believe our nation is under threat from those who would do us harm, which includes Progressives, Islamic Terrorism and those who find our Constitution fatally flawed. 91. I am a Tea Partier because I believe that Iran is a threat to this nation. 92. I am a Tea Partier because I proudly wave old glory. 93. I am a Tea Partier because I believe I have a responsibility to actively participate in my First Amendment responsibility to address our elected officials to address my opposition to their policies. 94. I am a Tea Partier because I believe in protecting the founding ideals of this Republic. 95. I am a Tea Partier because I believe in traditional American values. 96. I am a Tea Partier because I believe in personal responsibility. 97. I am a Tea Partier because I believe our government has strayed from it's founding principles. 98. I am a Tea Partier because I believe this nation is the worlds last best hope. 100. I am a Tea Partier because my participation in the Tea Party drives the Mainstream Media, Pundits on the left, Democrats, Progressives and socialist crazy! Simply brilliant, following on Twitter now! This is absolutely wonderful! Am going to send to my friends. We are friends on Twitter!! You go, gal!! Good job, knew there was a reason I added you to my blog role.. If you don't mind I may use this, with the first 15 reasons then link it back here. This is great. Sounds like a lot of things I said in my book. Keep it up.